UPS Education Renowned for Psychology Coaching and CTET Coaching in Delhi. UPS Education providing a supportive, student-centered learning environment, which enables students to meet their educational and career goals and achieve positive learning outcomes. 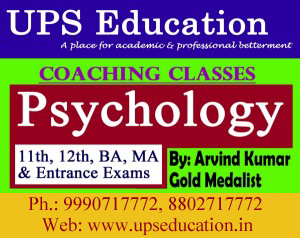 UPS Education provides Psychology Coaching for MA Entrance, NET Entrance, 11th & 12th Coaching, BA & MA Psychology Coaching and all other Psychology Entrance Examination. Come and Explore Psychology with UPS Education. This entry was posted in approaches of psychology, Best CTET Coaching in Delhi, best psychology coaching classes in delhi, Central Teacher Eligibility Test Coaching, Coaching Center in Delhi, coaching classes in madipur, CTET Coaching, CTET Coaching in West Delhi, CTET Entrance Coaching, physics classes in madipur on December 1, 2014 by UPS Education. Huge number of student appears in CTET (Central Teacher Eligibility Test) in every exam but ratio of failure is very high. There is some leading institution who provide Excellent Coaching for CTET. UPS Education one of them who continue their previous 100% success record from last 2 Years. Director of UPS Education, Mr. Arvind Kumar Otta (Gold Medalist) said: who want to Crack CTET must focus on basic theories and principle of Child Development. According to him, Success in CTET depends upon the systematic study of core Concept. This entry was posted in Best CTET Coaching in Delhi, Central Teacher Eligibility Test Coaching, CTET Coaching, CTET Coaching in West Delhi, CTET Entrance Coaching, ups education on November 3, 2014 by UPS Education. 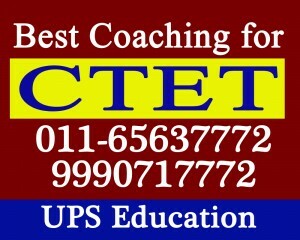 UPS Education Renowned for CTET Coaching in Delhi. UPS Education providing a supportive, student-centered learning environment, which enables students to meet their educational and career goals and achieve positive learning outcomes. 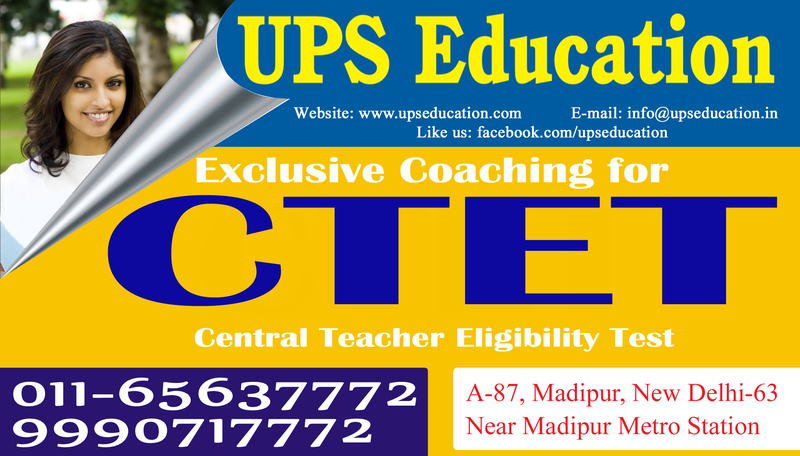 UPS Education Provides CTET (Central Teacher Eligibility Test) Coaching, HTET Coaching, UTET and other TET Coaching . Area Covered: Paschim Vihar, Jwala heri, Peeragadhi, Punjabi Bagh, Raghubir Nagar, Paschim Puri, Rani Bagh, Multan Nagar. This entry was posted in Best CTET Coaching in Delhi, Central Teacher Eligibility Test Coaching, CTET Coaching, CTET Coaching in West Delhi, CTET Entrance Coaching, Tuition center in madipur, ups education on October 30, 2014 by UPS Education. Paper 2: is for candidates, who wish to teach classes VI — VIII. Exam Pattern: CTET Exam Pattern Details: Central Board of Secondary Education (CBSE) conducts Central Teacher Eligibility Test (CTET) for a person to be eligible for appointment as a teacher for classes I to VIII. CTET consists of two papers. CTET Exam will be of objective type Multiple Choice Question (MCQ’s). There is no negative marking. 1. Paper I should be prepared for candidates who intends to be a teacher for classes I to V.
2. Paper II should be prepared for candidates who intends to be a teacher for classes VI to VIII. 3. A person who intends to be a teacher for both levels (classes I to V and classes VI to VIII) will have to appear in both the papers (Paper I and Paper II). Join UPS Education to crack CTET. We have well trained and experienced teacher. They will share their experience and tricks and techniques to the students. We also provide great learning environment. Join UPS Education for CTET Entrance Examination. Fresh batches available in UPS Education for CTET. This entry was posted in Best CTET Coaching in Delhi, Central Teacher Eligibility Test Coaching, CTET Coaching, CTET Coaching in West Delhi, CTET Entrance Coaching on October 22, 2014 by UPS Education. This entry was posted in Best CTET Coaching in Delhi, Central Teacher Eligibility Test Coaching, CTET Coaching, CTET Coaching in West Delhi, CTET Entrance Coaching on October 20, 2014 by UPS Education. 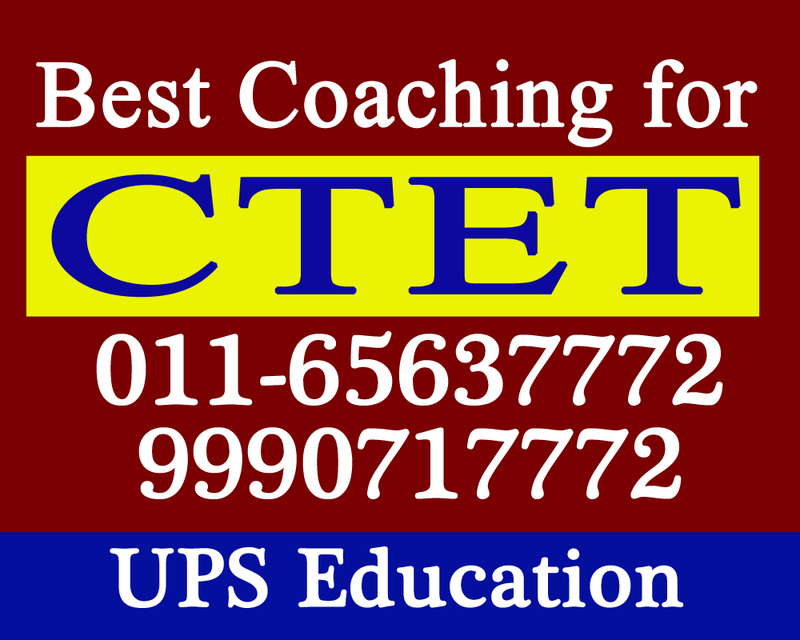 UPS Education is the leading Institute in CTET Coaching. UPS Education CTET Program is not only Best Classroom Program in Delhi it’s also Result Oriented Place for CTET. Join UPS Education and feel the Difference. UPS Education is Final Destination for all aspirants. 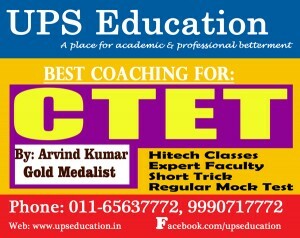 UPS Education has best faculty for CTET. All are specialized in their subject, like Arvind kumar Otta (Gold Medalist) is the faculty for Child Development or Child Psychology. This entry was posted in Best CTET Coaching in Delhi, Central Teacher Eligibility Test Coaching, CTET Coaching, CTET Coaching in West Delhi, CTET Entrance Coaching on October 18, 2014 by UPS Education. Huge number of student appears in CTET (Central Teacher Eligibility Test) every year but ratio of failure is very high. There is some leading Institute who provide Excellent Coaching for CTET. UPS Education one of them who sustain their previous 100% success record from last 2 Years. Director of UPS Education, Mr. Arvind Kumar Otta (Gold Medalist) said: who want to Crack CTET must focus on basic theories and principle of Child Development. According to him, Success in CTET depends upon the systematic study of core Concept. This entry was posted in Best CTET Coaching in Delhi, Central Teacher Eligibility Test Coaching, CTET Coaching, CTET Coaching in West Delhi, CTET Entrance Coaching on October 17, 2014 by UPS Education. This entry was posted in Best CTET Coaching in Delhi, Central Teacher Eligibility Test Coaching, CTET Coaching, CTET Coaching in West Delhi, CTET Entrance Coaching on October 16, 2014 by UPS Education. If you looking for an Institute in peeragarhi for CTET Preparation join UPS Education today. 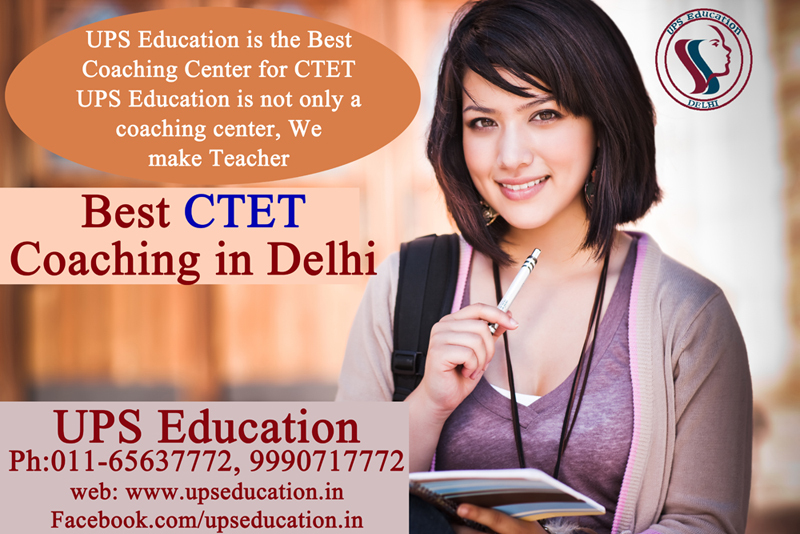 UPS Education is the renowned and best CTET Coaching Institute around peeragarhi, Delhi. UPS Education has some best faculties that ensure success in CTET. If you have dedication, we will convert it into success. UPS Education has grown in both, performance and credibility because of their strategic method of CTET Preparation. This entry was posted in Best CTET Coaching in Delhi, CTET Coaching, CTET Coaching in West Delhi, CTET Entrance Coaching on October 9, 2014 by UPS Education. 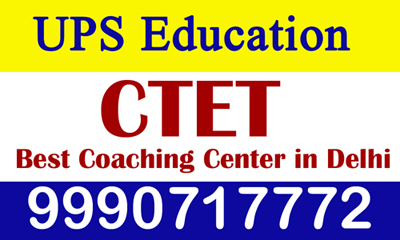 This entry was posted in Best CTET Coaching in Delhi, Coaching Center in Delhi, coaching classes in madipur, CTET Coaching, CTET Coaching in West Delhi, CTET Entrance Coaching, Tuition center in madipur, ups education on October 1, 2014 by UPS Education.